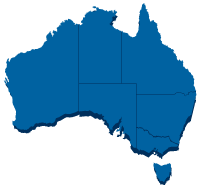 The NSW/ACT Training Committee of the Australian Board in General Surgery is responsible for providing recommendations and advice to the Board on regional issues including trainee requests, selection, hospital inspections, and educational courses. The membership and 2019 meeting dates are listed below. Download the 2019 NSW/ACT Training Guide. *PLEASE NOTE: As per the Board in General Surgery Training Regulations (www.generalsurgeons.com.au), all requests for the following year (for interruption/extension etc) must be approved by 31 July by both the NSW/ACT Training Committee and Australian Board in General Surgery. Requests for medical or parental interruption will be provided with exemptions to this timeline provided appropriate documentation is submitted with the request and adhere to all relevant College Policies. Requests submitted after this date will only be considered in exceptional circumstances.